After the pool and patio installation is complete, we offer Landscaping to place the finishing touches on your backyard oasis. 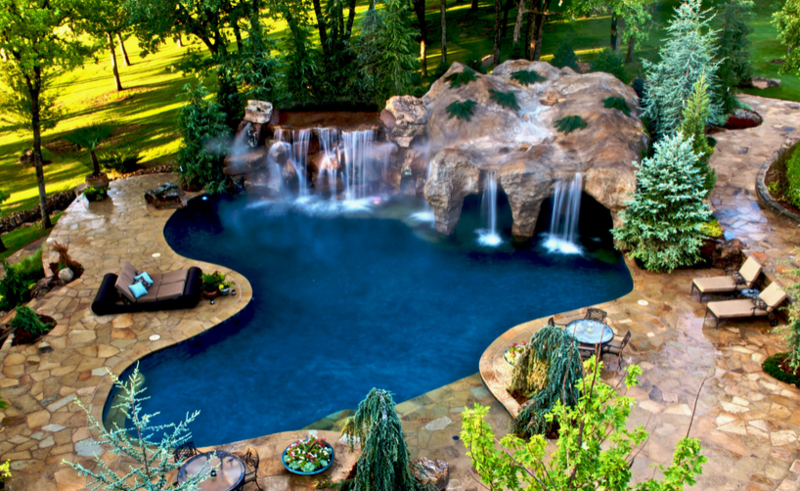 From custom rock work, water features, outdoor kitchens, outdoor fireplaces, sod lawns, or shrubbery, we offer the perfect complement to your new pool and patio. We even provide a computer animation of how your project will look completed. After browsing the rest of our website, please feel free to contact us by phone or e-mail with any questions whether it’s about a new project or backyard repair, or to schedule a free in-home estimate with one of our owners. We look forward to the opportunity to build the backyard of your dreams.